Dez Young had spent 30 years in broadcast before developing the Hunting With Hank TV show in 1995. The series started airing in 1997 on the Outdoor Life Network. His subsequent TV shows include Dash in the Uplands, Upland Days With Dash and Dez, and Dez Young’s Wingshooter’s Journal. 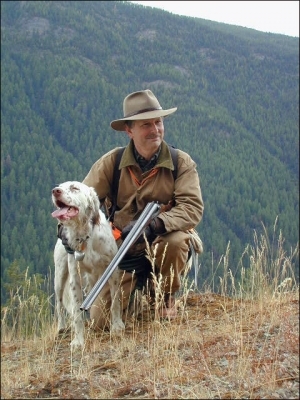 When I developed the “Hunting With Hank” television series starring my Llewellin Setter Hank, for what was then The Outdoor Life Network, I had confidence that the series would find an audience. But, the amazing success of Hank’s show actually caught me off guard. Along with its popularity, came requests from viewers all across the country to explain how I trained Hank for the work they saw him performing on our upland bird hunts that spanned the country.